Powerful. Mobile. Built to last. 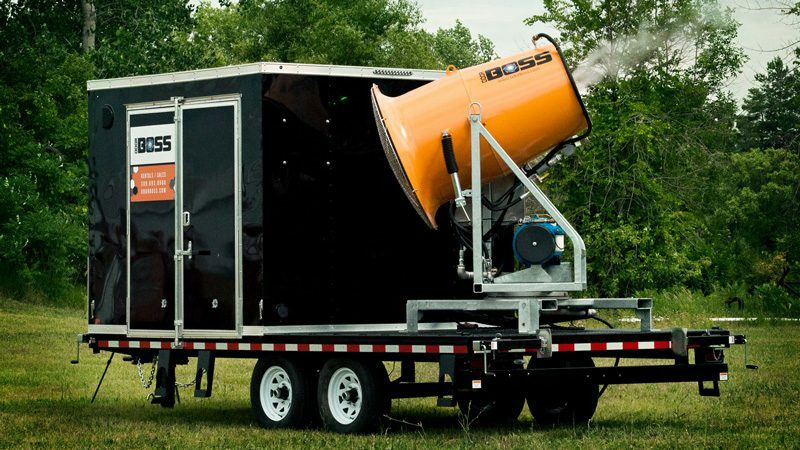 The OdorBoss sets the standard for modern industrial odor control. You run a tight ship. You also have a lot on your plate. 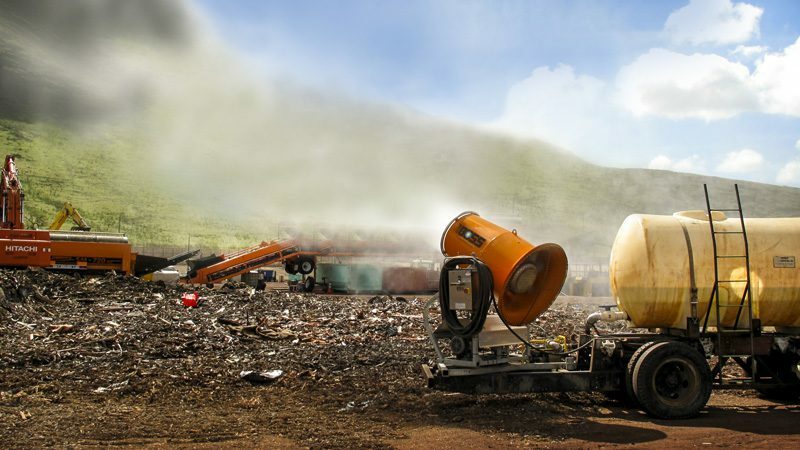 You want to get odor control right the first time: Best equipment. Best customer service. Two OdorBoss models represent different strategies at fighting odor: Ground Treatment or Aerial Treatment. Not like any misting system. Doesn’t saturate surfaces. Generates a vapor to treat the air. Creates smaller water droplets to propel chemical longer distances. Achieves unprecedented coverage using significantly less chemical and water. Not like any vapor perimeter system. Unprecedented power on a mobile platform. Effectiveness of a vapor without the infrastructure cost. Evenly distributes topical odor control chemical using water as the vehicle. 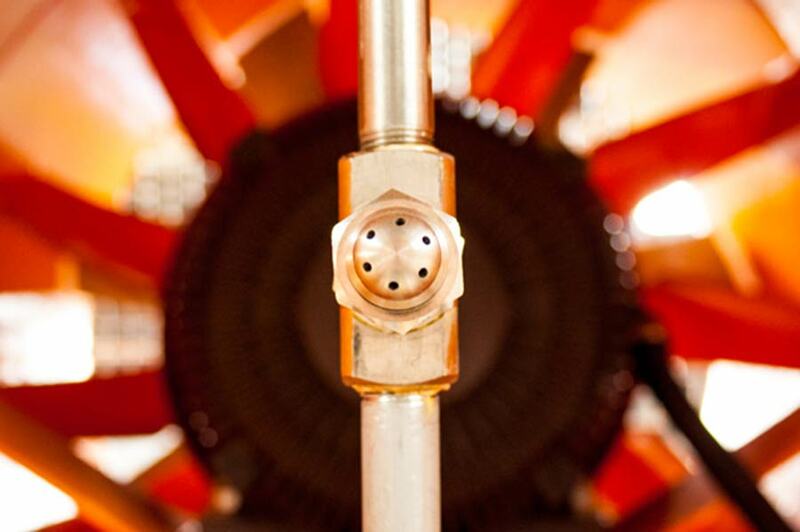 Covers more than two American football fields with 359 degree oscillation. Powerful misting from central location, significantly reducing maintenance over conventional misting fences. 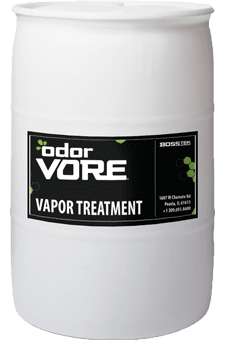 Designed for the mobile vapor system OdorBoss. 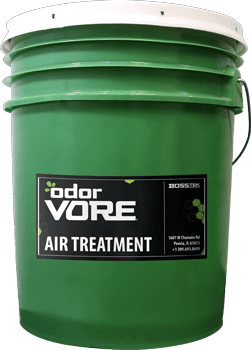 Neutralizing emissions from rancid to odorless, the OdorVore chemical focuses on the odorous molecules in the air, converting them into non-smelling particles. 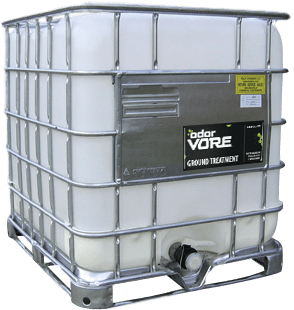 The OdorVore chemicals separate from the atomized mist when launched into the air, dropping the mist to the ground and turning the OdorVore chemical into a vapor gas. It doesn't just mask. It neutralizes.